Community protocols are not just documents, they’re a process and innovative processes can create new opportunities. In November 2009 the Kukula Traditional Health Practitioners Association produced their biocultural protocol. The term ‘community protocol’ covers a broad array of expressions, articulations, rules and practices generated by communities to set out how they expect other stakeholders to engage with them. Community protocols are recognised under the Convention on Biological Diversity’s (CBD) Nagoya Protocol on Access to Genetic Resources and Benefit-Sharing (2010), which supports the development of community protocols by indigenous and local communities for Access and Benefit-Sharing (ABS). 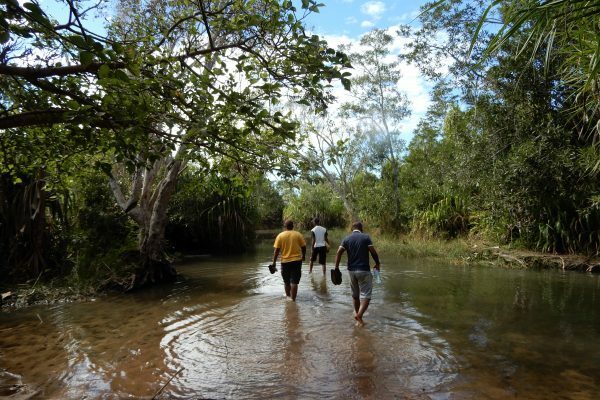 Although the original context for community protocols was ABS under the CBD, they can be used in a wider context related to biodiversity conservation and sustainable use. Indeed, this has been the trajectory of the Kukula’s experience developing and utilizing their protocol: initially it was used to engage a company interested in their traditional knowledge and its potential application in the development of skincare products, more recently the Kukula have extended to engage other stakeholders, such as conservation agencies, traditional authorities, and the Department of Health. It’s now eight years since the original protocol was produced, and during this period the CBD updated the strategic plan for biodiversity and Parties have revised and updated their national biodiversity strategies and action plans. 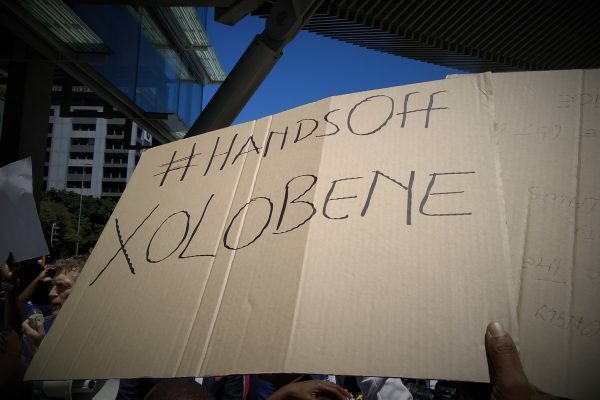 In South Africa, new domestic laws, policies and regulations of relevance to the Kukula have also been introduced. Over the years the Kukula’s priorities have also shifted somewhat. Thus, to respond to the dynamic international, national and organizational situation, over the last couple of years, the Kukula have been revising their community protocol. In revising their community protocol, the Kukula decided to open specific sessions to key external stakeholders, this enabled the stakeholders an opportunity to engage with the Kukula, to better understand their concerns and processes. This exchange was two-way and the Kukula also developed a deeper insight into stakeholders roles, objectives, plans and activities. These exchanges enabled the Kukula to identify areas of mutual interest and to target and action-plan around relevant opportunities at the local level. South African National Parks (SANParks), is a public entity under the jurisdiction of the Department of Environmental Affairs, South Africa. SANParks manages a system of 19 national parks, including the world-famous Kruger National Park (KNP), which was proclaimed in 1898 and is South Africa’s largest park covering almost 20,000 km2. Kukula members reside in the Bushbuckridge area which is located west of the park, and some healers live just tens of kilometres from the parks boundary. 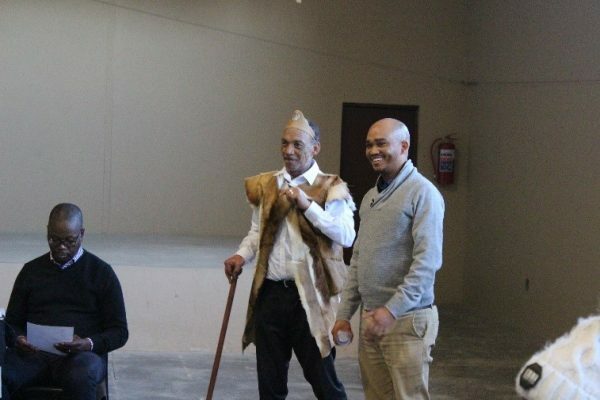 The Kukula invited SANParks to their revision workshops, and Dr. Louise Swemmer and colleagues introduced the Warburgia Conservation Programme. Warburgia salutaris or pepperbark as it is commonly known, is a medicinal tree, which previously had a widespread distribution in southern Africa, however it currently only occurs in small pockets in 3 South African provinces, with KNP having one of the largest populations of wild trees. Pepperbark is classified as an endangered tree (IUCN Red List of Threatened Species), and the major direct threat is harvesting for traditional medicinal practices, which has led to near extinction in some localities. 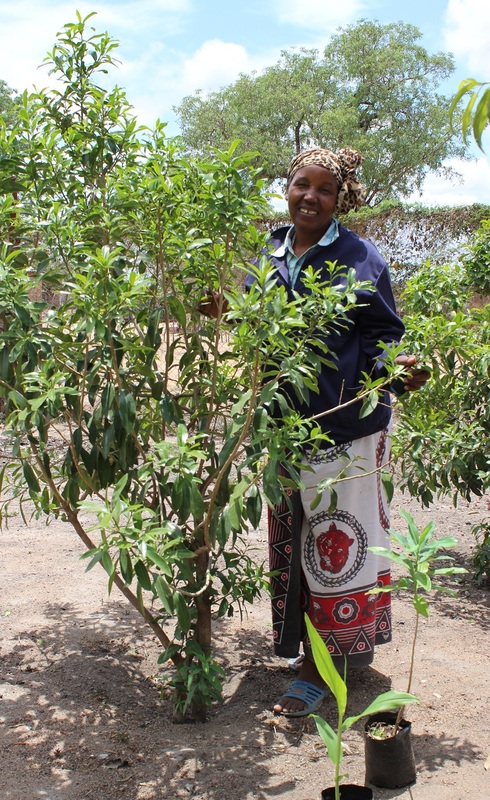 One of the objectives of the Warburgia Conservation Programme is to promote the sustainable use of the tree, including by enhancing local availability and promoting the use of leaves rather than bark for medicinal purposes. 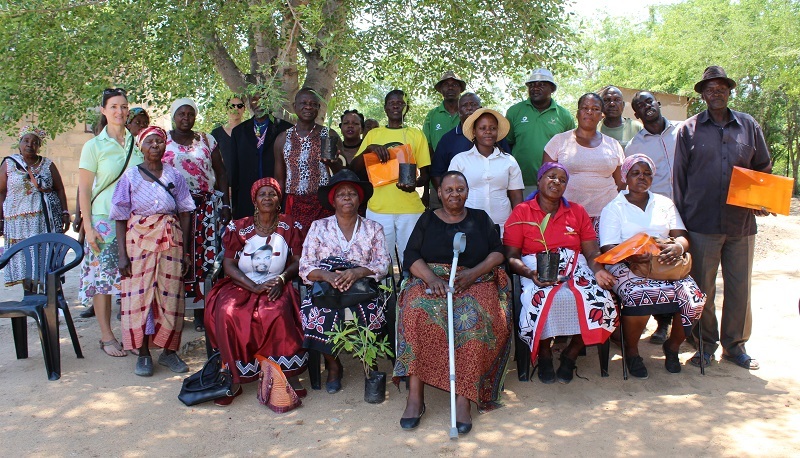 The SANParks model involves germinating Pepperbark from seed, and distributing saplings to a diversity of traditional health practitioners (THPs) at training workshops, with each participant acting as representatives for their village, and taking responsibility for distributing saplings and sharing knowledge with all the THPs in their communities. SANParks have rolled out the programme in the northern buffer zone of KNP and in November turned their attention to the Bushbuckridge area. 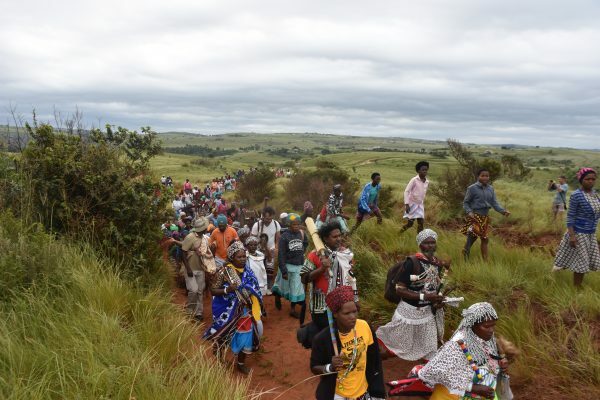 The Kukula’s previous engagement with SANParks, good governance and organisational capabilities made them a natural partner and on the 20th and 21st of November, workshops were hosted in Hluvvukani and Thulamahashe villages respectively. 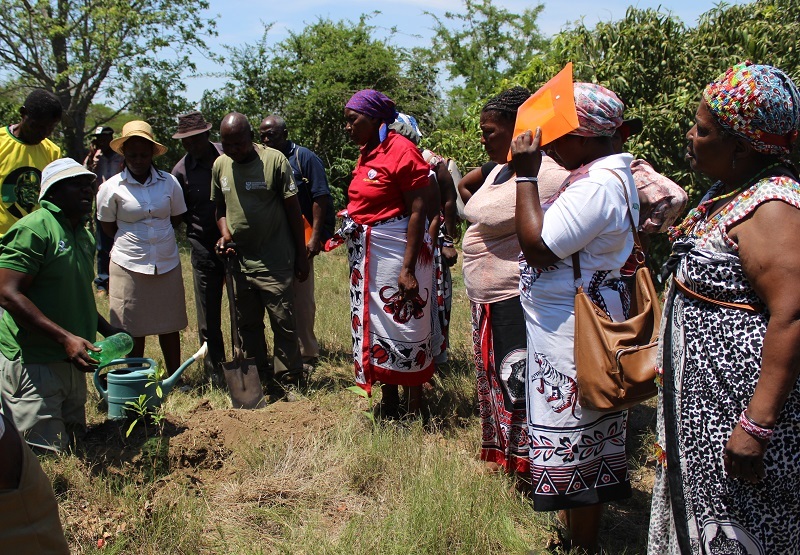 During the workshops SANParks introduced the programme, the use and harvesting of Pepperbark was discussed, and training given on planting and caring for saplings. Village representatives were selected and the distribution of saplings to all THPs – not just Kukula members – discussed. 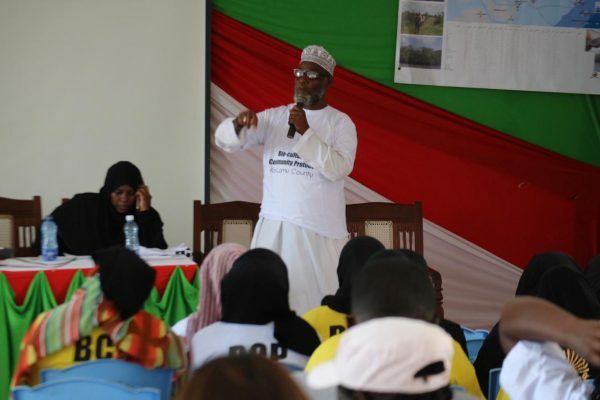 Collectively, the workshops trained about 40 THPs, and through their networks over 800 trees will be distributed other THPs in their communities. Discussions on harvesting methodologies revealed that all THPS would harvest and utilize the leaves rather than the bark or roots as was traditionally the case. 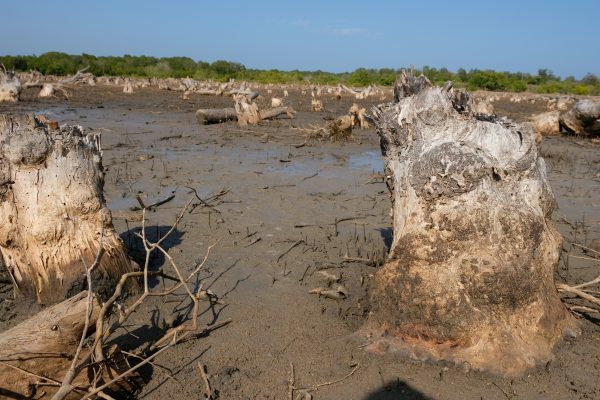 This is potentialy more sustainable, the waiting time to harvest will be shorter (leaves should be able to be harvested in 1-2 years, whilst for bark a waiting period of 10 years would be necessary). Scientific studies have demonstrated that the leaves contain biologically active constituents and can be substituted for bark in ethnomedicine. Indeed, some of the participants had previously visited SANParks Skukuza Indigenous Plants Nursey, and obtained Pepperbark saplings, planted them in their home gardens, and were already utilizing leaves in their medicines, indicating that such a practice is culturally acceptable. The impacts of the workshops will hopefully be an increase in self-reliance of the Kukula, as their trees should supply them with a sustainable resource of Pepperbark for treating clients in their communities, and also it will reduce their dependency upon ‘muthi hunters’ or individuals who harvest and sell medicinal plants. From SANParks side they hope to reduce harvesting pressure on the wild populations of Pepperbark, improve relations with communities neighbouring KNP and assist them to benefit from the protected area. The Kukula’s innovative approach to revising their BCP and actively engaging with the BCP process, by hosting special sessions to engage key external stakeholders is producing some positive early results. There is now sincere engagement with some conservation agencies, and the Kukula can begin to address one of their key challenges, namely access to medicinal plants, which in turn will contribute towards their efforts to keep their communities healthy and heal those that suffer from illness. 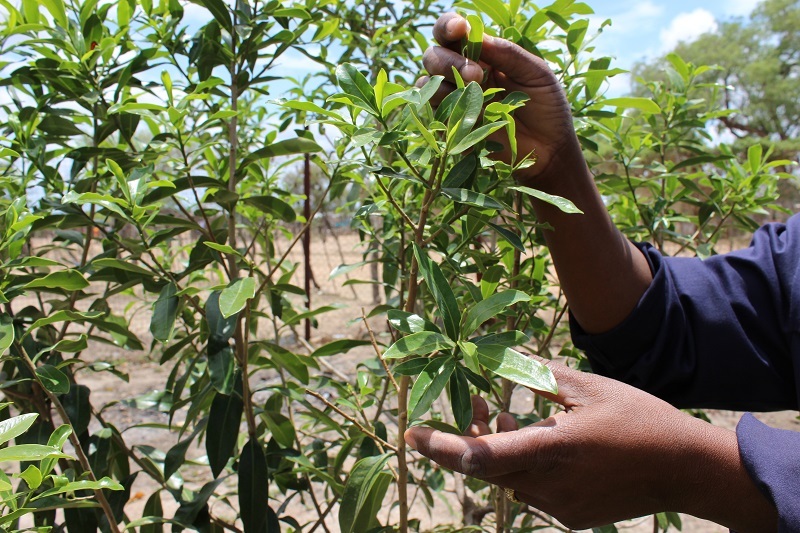 In the future, Natural Justice hopes to continue to support Kukula to engage with SANParks and identify additional medicinal plants in high demand that can be propagated and distributed using a similar model to that of Pepperbark.